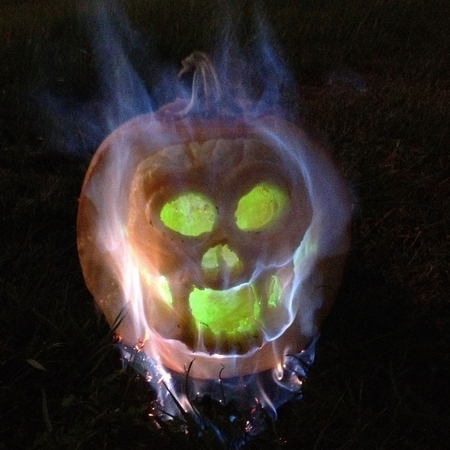 From the looks of it, this is a skull pumpkin and an alcohol fire. Which reminds me of the time some friends and I were doing Statue of Liberty shots and the sambucca ran down one guys arm and into his shirt. This caused him to light his whole arm afire with a low temperature burn. What followed was a sort of Danny Terrio dance routine at high speed. Eventually someone frisked him down and smothered the flames. Good times.